~Thank you for supporting the 2017 Lincoln Day Dinner. Registration is now closed. If you would still like to attend this event please call our office at (425) 990-0404. Join the King County Republican Party for the 2017 Lincoln Day Dinner on Friday April 7th, 2017 at the Hyatt Regency Bellevue! General & VIP receptions begin at 6pm and the dinner begins at 7pm. This year’s Lincoln Day Dinner will feature a very special guest, Star Parker. 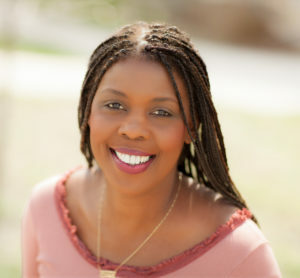 From welfare mother to businesswoman, national celebrity, and international author, Star Parker exemplifies hard work, aspiration, and individual responsibility. Star received her bachelor’s degree in Marketing and International Business from Woodbury University and has received numerous awards for her work on public policy issues. For all her hard work in the grassroots conservative movement Star Parker was awarded the 2016 CPAC Ronald Reagan Award! Tickets begin at $75 for General Reception and $250 for the VIP Reception with photo opportunity. Click here for table and event sponsorship opportunities. You won’t want to miss this year’s Lincoln Day Dinner as we celebrate the grassroots of the Republican Party in King County as we work towards electing Republicans in 2017!